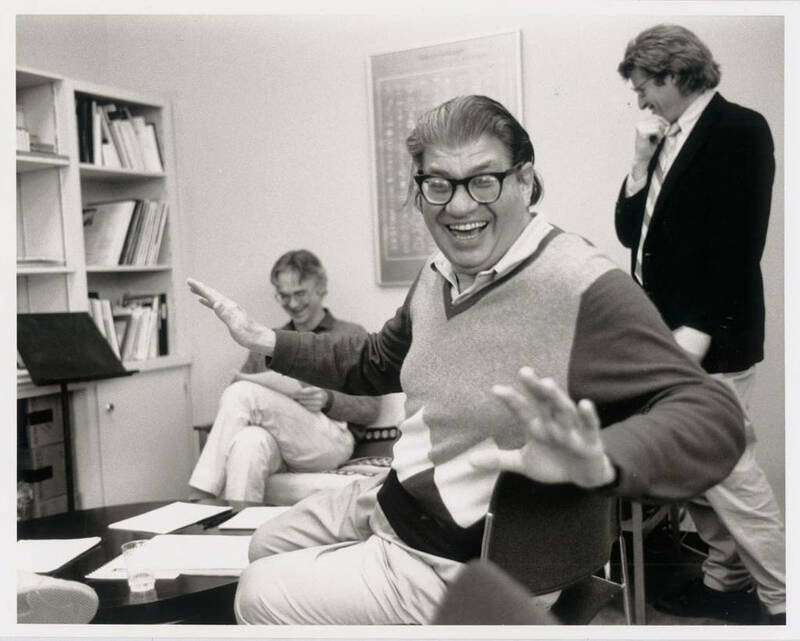 Reviewing a fine new recording of his First String Quartet for The Strad has afforded the opportunity to immerse myself again in the music of Morton Feldman. And with the end of the English cricket season two months past, it came not a moment too soon. Yes, the Second Quartet occupies five hours, or roughly two-thirds of a day’s play – say the time it takes to make a century. For all that I gladly accept the invitation to be patient and concentrate, their relative durations don’t interest me so much as what happens in the middle; at the crease, so to speak. Nearly all art music compresses life into a sequence of events that happen far more quickly and densely than we can take in at the time. The ‘Farewell’ Symphony and Tosca are ferociously condensed narratives not only in the enacted story (a musicians’ strike, a day in the life of a secret police chief) but because the changing nature of that narrative is shaped by what’s played, often at the rate of several times a second. Feldman isn’t like that. Nor, however, is his music ‘minimal’, in the way that contemporary works by Glass, Reich and Adams manipulated hygienic patterns of small motifs over long spans of time. Feldman’s two quartets contain much repetition, but it’s unpredictable, and liable to be thrown off course by events for which there’s no precedent in what has previously been heard. The event could be a sequence of cello pizzicati, or a little arabesque on the viola, or even, courting cliché, a big, loud chord. At any rate, something is happening all the time, but at a pace that you can both savour the moment and also forget what happened before. 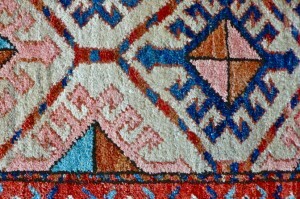 A ‘new’ Persian rug, but the asymmetry is clear. Music has always been susceptible to analogical comparisons, in part because most of us lack the technical means to analyse what it does; we’re much happier saying what it is like. This can tell us more about the comparison than the music. However, Feldman himself was happy to map his music onto Persian rugs, of an asymmetrical style that has persisted for centuries, partly by accident, partly design – the dye doesn’t stain the thread identically in the old ways of weaving and anyway, perfect symmetry is considered unIslamic, an offence to God. 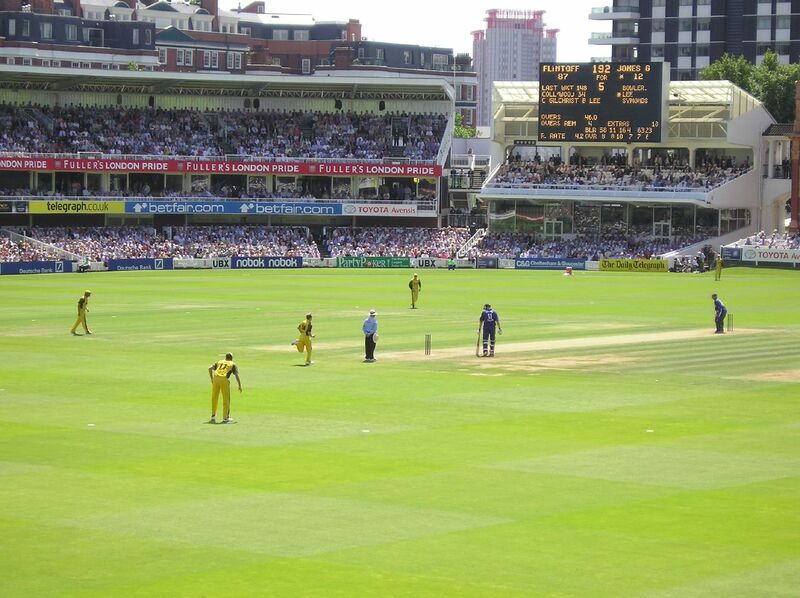 Lord’s, 2005 (the first day of the Ashes). The photo faces directly down the slope, across the pitch. The rugs are fascinating, but a day of Test cricket, like Feldman’s late music, lives in time, unrepeatable; full of history both on the microscopic level of the last ball delivered and in the much grander scheme of a match between two sides who may have been contesting supremacy for a century and more. Much that you thought you knew can be overturned in the space of seconds – where one wicket falls, another will often soon follow – and there is an inherent bias. 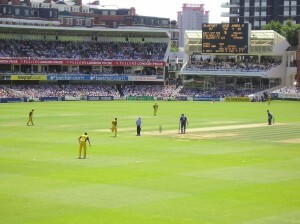 The seven-foot drop from northwest to southeast determines the pitch of every ball at Lord’s. 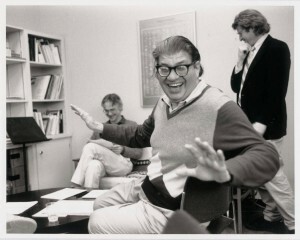 Importantly the rugs are anonymous, whereas we’re intimate with the players in the middle, often all too much so; and every bar of Feldman’s music is uniquely his.